Happy Wednesday and welcome back readers! 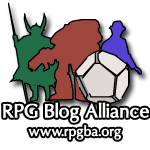 This is the Fine Line where topics relating to the role of the Dungeon Master are reviewed and discussed, primarily the duties of a DM lying outside of the rules. Last week was a unique opportunity to go over the ideal player with our theme of The Hunger Games, the gamer that DM’s alike dream of. In our last discussion on the Fine Line we went over the actions taken by the player behind Katniss Everdeen that were above all admirable and displayed her own depth of character. With this in mind and considering what we have talked about I know move to this week’s theme, Doctor Who. Now my taste in the various fictions and stories is eclectic and as a self-proclaimed member of the geek community I am a huge fan of the Doctor and his exploits. My favorites in particular are the Ninth and Tenth portrayed by Chris Eccleston and David Tennant respectively. For this piece we will focus on one of my most beloved of Tennant’s performances, Silence in the Library. The Doctor and his companion Donna respond to a plea for help found written on the slightly psychic paper. The Tardis carries them to the Library, an entire planet devoted to every book to ever be in existence. When I die and move on from this world I really hope my journey carries me to such a place. In any case, the Doctor very quickly realizes a major issue with the expanse of the Library and the planet itself. It’s empty. A quick scan performed by the Doctor reveals that the only humanoids upon the planet are himself and Donna. A broader search shows that there are a million million lifeforms on the planet and yet there is silence in the Library. 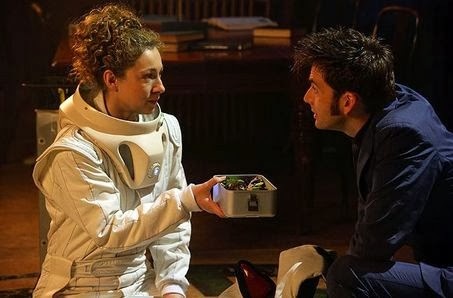 As the Doctor and Donna begin their investigation a pair of messages are passed on to them from whoever it was that last occupied the Library. Run. For god's sake run. Nowhere is safe. The library has sealed itself. We can't— Oh, they're here. Before we progress further let us discuss the phenomenal character that is the Doctor. Though possessing average stats in Strength, Dexterity, and Constitution the Doctor more than makes up for it with his ungodly score in Intelligence and his more than above average stats in Wisdom and Charisma. He is a master of utilizing his strengths, avoiding combat almost entirely by using a quick tongue, a sharp wit, and uncanny cleverness to work his way around and through problems. The Doctor is in essence the sort of player I can only fantasize about. Now as the DM of such a being you face a daunting task. Yours is the role of the challenger, the means by which the incredible intellect is put to work and exercised. Your story must possess enough curiosity, enough mystery, and enough difficulty to maintain the interest of a vastly intelligent character such as the Doctor. Best of luck. What makes the Doctor such an incredible player and such an interesting character? It’s his ability to break the meta and to think outside of the box. Once again he has average stats in half of his ability scores and so he relies upon what he does have often solving problems in a manner most of us wouldn’t even think of. He is constantly making checks and asking questions to gather as much information as he can and the DM does a wonderful job of providing every bit of information sought after. Knowledge is power as they say and the Doctor is the master of it. Now back to the Silence in the Library. Right from the get-go the Doctor is told exactly what he needs to know in the two messages; there is something dangerous in the Library, count the shadows, and to run. All of that from two short messages. Throughout the entirety of the adventure the Doctor refers to this information and it saves his life and also aids him in discovering what really happened within the Library. A quick Knowledge check reveals the ‘villain’ in this particular investigation the Vashta Nerada. The knowledge that the Doctor possesses about such creatures is chilling. With the arrival of an expedition of archeologists the Doctor’s task becomes that more daunting. Now he has more than just himself and Donna to protect from a vicious and unforgiving, unseen enemy. He quickly displays the manner in which the Vashta Nerada feed tossing a chicken wing through a patch of shadows. Instantly the meat is devoured leaving only the bone. The Vashta Nerada hunt by attaching themselves as an additional shadow effectively giving their next meal two shadows. However the Doctor is ever so confused as to how the Vashta Nerada came to be on the planet considering that they live primarily in forests hatching from spores found in the trees. Scary stuff. The warning to run now is even more prevalent than before. As the story continues onto part two, The Forest of the Dead, the Doctor is being chased by the Vashta Nerada. Fed up with his lack of information he whips around and confronts the empty suit of a recent meal, one of the archeologists, telling and even coaching the Vashta Nerada swarm within to communicate with him. An interesting attempt but it works and he speaks with the predator about how they came to be here. Vashta Nerada: We did not come here. The Doctor: Well of course you did. 'Course you came here. Vashta Nerada: We come from here. Vashta Nerada: We hatched here. The Doctor: But you hatch from trees— from spores in trees. Vashta Nerada: These. Are. Our. Forests. The Doctor: You're nowhere near a forest. Look around here. Vashta Nerada: These are our forests. The Doctor: You're not in a forest. You're in a library. There's are no trees in a— Library. Books. You came in the books. This is what makes the Doctor such a phenomenal character and the player behind him so amazing and fun to story tell with. At the beginning of the adventure the Doctor was only given tidbits of information. However as he continued to display his ability to ask questions and to think outside of the box his DM appropriately rewarded him with more information and knowledge concerning the mystery of the Library. This is what we can take from Silence in the Library and from Doctor Who in general. When our players get creative and show us that they are capable of breaking the mold and utilizing their own level of creativity we should reward them. This article stands as the polar opposite of Speak No Evil, my recent piece on The Evil Dead (2013) wherein the players didn’t ask hardly any questions or make any checks and simply didn’t play the game or become a part of the story. The Doctor however is an incredible character with such depth and his brings his own organic creative element to the story that one can’t help but shower him with his tool and means of solving the mystery; knowledge. We don’t solve the problem for our players. That’s up to them. The Doctor is the one who figures out how the Vashta Nerada came to be in the Library and on an even deeper level what happened to the people who had gone missing whilst on the planet. When our players ask the questions and play the game and break the meta we give them what they need to succeed. The rest is up to them. Awesome blog post Scott! I'l have to consider these things in my future games. Secondly, it is very hard to plan for a party to succeed, give them all the tools they need, and then watch them... not. I could write an entire paper on that subject though... So yes, players who are invested and think outside the box and pick up the pieces are ideal, but from a DM perspective, how does a DM plan for what happens when the players simply refuse? You should read my article on The Evil Dead, Speak No Evil. It addresses that very question. Check it out, hope it helps!